DC (direct current) motors flow in only one direction, while AC can alternate direction without affecting the operation of the appliance to which it is supplying power. Universal electric motors are used in blenders, vacuum cleaners, power tools, clothes washers, fans, blow dryers, and other common appliances. They offer the advantages of DC motor capabilities running on AC power supply. A universal motor offers an advantage over regular AC motors because they have a high starting torque level. Other characteristics such as high top speeds and compact designs are also commonly found with DC motors and not with AC motors which tend to provide lower speeds and operating power. Therefore, due to this ability, universal motors are suitable for applications which require high speeds for periods of intermittent use. They are not suitable for continuous or prolonged usage, and even when used only intermittently, the life span of universal motors is considerably shorter than many other types of motors. Despite the flexibility to operate on both types of power supply however, a universal electric motor almost always runs on AC (alternating current) power. 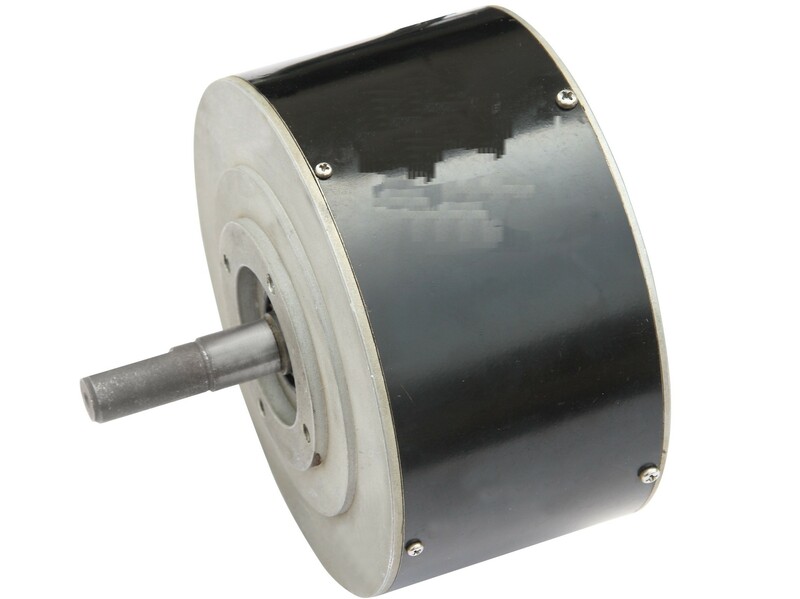 Also called series-wound motors, universal motors tend to have many features and capabilities that are most often found with DC electric motors, particularly brush motors. As with all small electric motors, when determining the most suitable type of universal motor to use in a given applications, manufacturers should consider variables such as the required mounting type and enclosure, as well as the mechanical requirements of the operation. These physical features will be dependent on the intended application and place of use for the motor, whether the enclosure needs to be weather proof and durable, or if it is not needed to protect the motor against other elements. Other factors to consider include desired start up torque and the required output capacity of a motor which will also be application dependent. There are a number of motor choices, but many FHP motors are also standard designs which meet the basic needs of a range of applications. Universal motors are cost-efficient solutions for power supply and despite their shorter life spans still provide an excellent source of mechanical power. Universal Electric Motors A universal electric motor is different from regular electric motors in that they can run on either alternating current or direct current supply. The basic difference between AC and DC power is the direction in which the current flows through the engine.